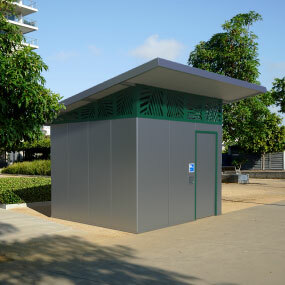 As public restroom specialists we have the expertise and experience to design and construct facilities that address all design and regulatory requirements, perform at a high standard and deliver value in efficient cost of design, construction, and operating cost and longevity. 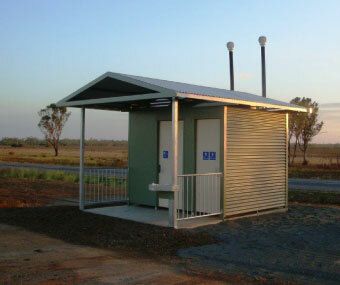 Our range of building systems and technologies developed specifically for restroom application cater for the full spectrum of stand-alone public restroom facilities. 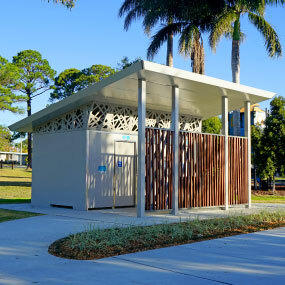 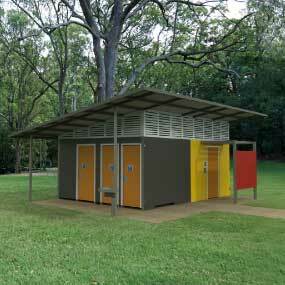 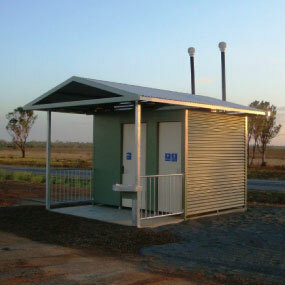 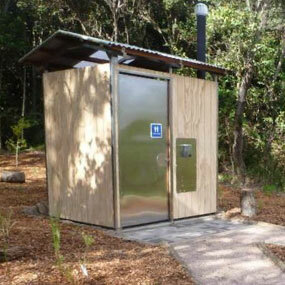 9 Road-side rest area restrooms with CWT Collection Well systems for Queensland Main Roads completed. 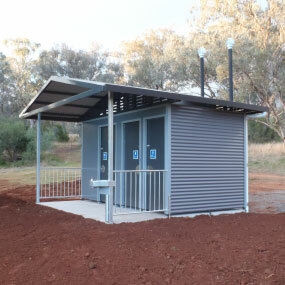 Changing Places facility at the Dubbo Botanic Gardens redevelopment nears completion. 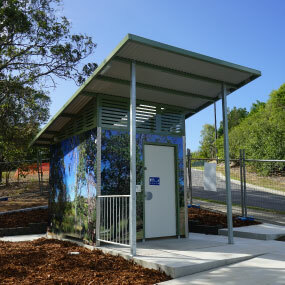 Architectural anti-vandal facility at the Lakeside precinct upgrade at Woolgoolga nears completion. 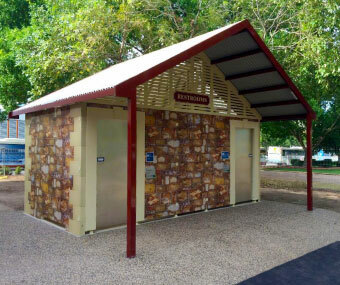 An Anti-vandal facility with Sportsfield Changerooms completed at Adelaide's iconic Victoria Park. 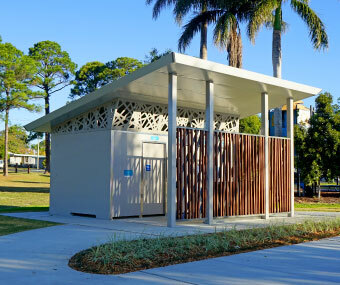 Why the best performing restroom facilities require an integrated design approach of building structure, waste systems and furniture fittings. 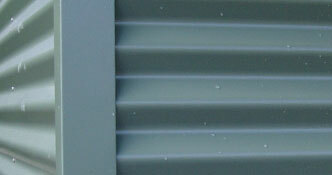 The pro's & con's for service life, vandal resistance, maintenance, cleaning and construction efficiency. 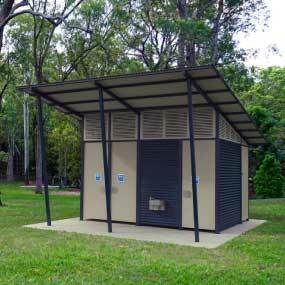 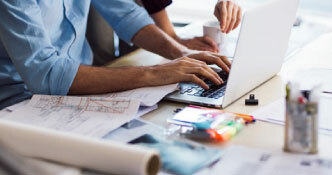 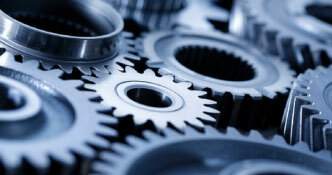 A guide to waste system solutions and the practical applications of alternative systems.